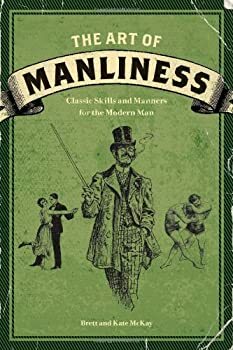 A few years back, when my brother went to live on his own, I bought him two books as house-warming presents – a book about vintage-style bachelor-pad lifestyle (lots of tikis and cocktails and lounge music), and a copy of a book called The Art of Manliness. For the uninitiated, The Art of Manliness is a “a blog dedicated to uncovering the lost art of being a man”, founded by Brett McKay in 2008. I used to read it occasionally – I love their posts about campfire cuisine – and while some of the topics are baffling to my old European mind, I find the blog generally entertaining and often informative. The book compiled by the blog’s contributors looked like a nice tongue-in-cheek gift – and being the curious sort myself, I got me a copy, too*. Now, I must admit some of the contents of this handbook baffle me as much as the original blog baffles me. The Art of Manliness is a nice paperback with a faux-antique cover and a well laid-out interior. It covers a number of… well, I suppose I should call then manly subjects. From the proper grooming and behavior of a gentleman to living rough in the field, to self-defense, to-read lists and inspirational quotes (Teddy Roosevelt, R. Kipling… ehm, Bill Cosby), and a number of personal-relations issues. Many of the subjects are updated to be used by a 21st century man, but a lot of the basics are presented in their period form. As I said, some of the contents are baffling to me – meaning they do not creep me out, but cause a certain sense of uneasiness. I mean, it’s sound advice, and well-thought-out, it’s just that… these are the sort of things one learns from experience. Finding them outlined and explained in a book feels weird. 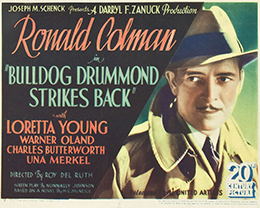 The Art of Manliness clearly belongs in the pulp hero‘s library – it includes the sort of notions a chap like Bulldog Drummond probably knew by heart. It gives an insight in the culture and lifestyle of another generation, and it might come in handy for a quick research for writing period stories. Just learning of an expression like “Grumbletonian”, to me, is worth the price of admission. And I can’t resist a book with a section called “Five foods you can cook on a stick”. Granted, the bit about “the international man hug”, “the american man hug”, the differences thereof, and how to perform both, still feels somewhat weird, but as I said, it’s probably me. * so when, following the crisis, my brother had to close shop and come live here in the wild hills of Southern Piedmont with me, we found ourselves with two copies of the book. Categories: Pulp hero's library | Tags: Bulldog Drummond, The Art of Manliness, tongue-in-cheek, unusual handbooks | Permalink.